First, it is important to recognize that in the last five years, many aspects of the external context that framed CFS reform have changed. Food prices have reduced since 2011 peaks and markets are less volatile. As commented before, the sense of urgency caused by high food prices is no longer there, giving food security lower political prioritization and moving away from more nuanced approaches that aim to address structural causes of food security. But the external context does not explain the full picture. CFS42 moved through a non-ambitious agenda, especially compared to previous years. We recognise that extremely important issues were addressed – ranging from policy recommendations for food security and nutrition to the endorsement of a framework for action for food security and nutrition in protracted crisis. Negotiations and discussions were intense on many topics, such as those on connecting smallholder to markets and the linkages between the Sustainable Development Goals and the work of the Committee, but many governments, perhaps tired from the previous years of work on the CFS, pushed a an agenda of wait-and-see. One reason for this atmosphere might be explained by the growing misalignment amongst delegations with respect to how the CFS can best contribute to improve global food governance. Some actors have always been sceptical of the value of CFS – including Canada, United States and Australia –, their reticence for supporting CFS activities remains sustained. But reticence was also expressed – at least in between the lines of their statements – by some delegation that have played a very significant role in supporting and advancing the reform and an ambitious CFS agenda. The EU, for example, who has been one of the leaders in post-reform initiatives showed signs of internal struggle with EU statements being read out on behalf of all EU countries only to be followed by an EU country making alternative statements. Latin America countries – another group that pioneered CFS reform – showed divided signs as to whether the Committee should address controversial issues or if should try to put into practice what has already being agreed. Civil Society continued to push for a stronger CFS, but is increasingly frustrated that some countries are unwilling to adopt a rights-based approach and instead redirect focus and time to re-negotiating rights-based language in every negotiation that is opened, even though elements of this language were agreed to in previously endorsed texts. One of the few constituencies that seem to be getting more engaged is the private sector, a point that we come back later. This misalignment impacted at least two key issues: a weak decision on Monitoring and Evaluation (M&E) and a no decision on how to position the CFS in the SDGs implementation debate. The final decision achieved on M&E “invited volunteer member countries” to “pilot the implementation of voluntary in-depth country level assessments”, in order “share experiences and best practices” in events organized by the Committee, including one to be held next year during next plenary meeting. To “voluntary share experiences” looks like a gentlemen tea party rather than a real monitoring mechanism. And as the French delegation rightly pointed out, to not have a coherent and strong M&E mechanism in force by the next year might put “the very credibility of the Committee at stake”. Within the CFS discussion on the matter, delegations basically repeated the qualities of the CFS format as some sort of mantra, without really discussing the whether the CFS should get more involved in SDG implementation. Previous point links to another challenge presented in between the lines of official statements: that the participatory format of the CFS achieved under its reform, and the culture of participation, is proving to be a challenge to negotiators at the CFS. From the perspective of the member states, one has to consider the nature of diplomatic positions. Most governmental diplomats engaged in the reform have left. This means new negotiators are arriving at the CFS without the history of the pre-reform inactiveness or the process of engaging with non-state actors. Some see the CFS as space where states have the same rights to engage as civil society and private actors. Instead of seeing this as an opportunity to expand discussion and debate, many negotiators we spoke with alluded that the deliberative nature of the CFS was a nuisance. Concerns surrounding the participatory structure were not only expressed by states. The Civil Society Mechanism made a strong statement on the very end of final session defending that the CFS should not aim for multi-stakeholder governance, but rather multi-actor governance. As they have explained many times before to the Plenary, for them, the issue is not only an issue of terminology. For those actors engaged in the CSM, while multi-stakeholder governance recognizes that all actors have the same rights (states, civil society organisations and private sector), multi-actor governance recognises that all actors have the right to discuss and contribute, but only states have the right to decide. Further, it recognises that not all actors share the same stakes. In multi-actor governance, by taking a rights-based approach, states would then be able to play a decisive role in balancing the power asymmetries that do exists amongst all actors, in particular between large corporations and small and medium size enterprises, between smallholder and larger farmers, as has been attempted in the CFS in different ways. According to their argument, the CFS reform aimed for multi-actor governance, but by not paying sufficiently attention to power dynamics and a failure to frame negotiations with a rights-based approach, CFS governance was being directed towards multi-stakeholder governance. The risks this carries relates to the enormous power imbalances between the actors that participate in CFS negotiations. While the strong statement by the CSM does reveal possible limitations of the current CFS architecture, it does not reveal a growing concern shared by civil society that can be identified between the lines of their many interventions. Private sector – in particular large corporations – are becoming more active and engaged at the Private Sector Mechanism (PSM) and consequently at the CFS. While this shows that the CFS has become an important organization at the world stage – otherwise companies would just ignore it – it also raises an alarm for those concerned with balanced decisions and discourse representation. It remains to be seems how stakeholders will react to this new power imbalances. A key field where this battle will play out is over the private sector’s proposal for the CFS’s Advisory Group to open up seats to farmers. That could consequently shift the balance of power from 4 CSM seats and 2 private sector family seats (including philanthropic foundations), to parity, depending on what category of farmer is engaged. Understanding the intricacies and changing nuances of the CFS requires that we dig deeper into the internal politics of countries and other constituencies to better understand their positions. For instance, it would require that we know with more precision how the private sector is engaging at the CFS and to put this into perspective with other global initiatives that count with private sector support. It would also require that we look at how other actors are planning to react to it. This is what several researchers are doing, through different lens and fronts. Matheus A. Zanella, from the Institute for Advanced Sustainability Studies and the University of Bern is looking at the deliberative capacity of the CFS. 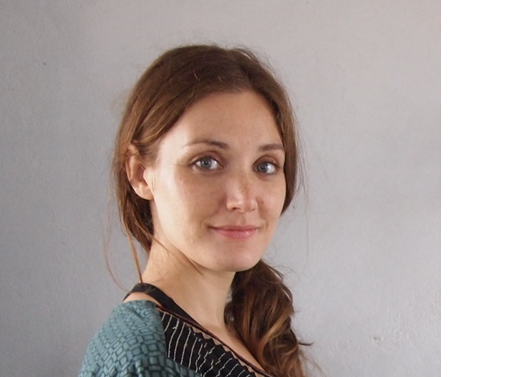 Jessica Duncan, from Wageningen University, has recently published a book analysing the civil society engagement in the reformed CFS and continues to examine the effectiveness of the CFS in sustainable food security governance at the global level. Nora McKeon recently published the book “Food Security Governance: Empowering communities, regulating corporations”, with two chapters specially dedicated to the CFS. Both Jessica and Nora reflected on the relevance of the CFS in a recent special issue of the journal Canadian Food Studies, Mapping the Global Food Landscape. Josh Brem-Wilson from the Centre for Agroecology, Water and Resilience at Coventry University recently published a paper at the Journal of Peasant Studies “interrogating the peasant voice” at the CFS. Also on similar issues, Ingeborg Gaarde from École Des Hautes Études en Sciences Sociales in Paris is examining the engagement of La Via Campesina in the CFS. In sum, a good number of people are working to better understand this interesting Committee, from looking specifically at the private sector to more broad debates on deliberative democracy and multi-stakeholder governance. Keep in touch and happy readings! 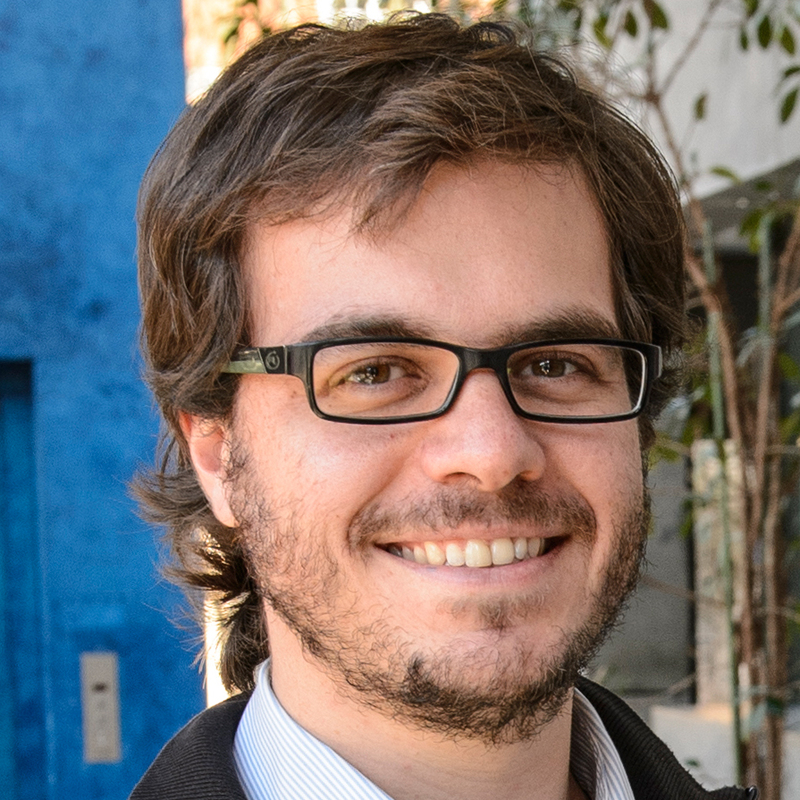 Matheus Alves Zanella has been a research fellow at the IASS since August 2012. He is also a PhD candidate at the Centre for Development and Environment (CDE) of the University of Bern. Zanella holds a master’s degree in Rural Development from the Humboldt University Berlin, Ghent University in Belgium and AgroCampus Ouest-France and a B.A. in International Relations from the University of Brasília. At the IASS Global Soil Forum, his research focuses on the global governance of food systems and the role of multi-stakeholder deliberation processes for advancing sustainability governance. He gained his previous work experience at the Food and Agriculture Organization (FAO) office in Brasília, the Brazilian Ministries of Rural Development and of Agriculture, and farming organisations in his home country, where he always dealt with topics related to trade, agricultural and environmental policies and their interaction with food security and sustainable management of natural resources. Originally from Canada, Jessica Duncan is Assistant Professor in Rural Sociology at Wageningen University (The Netherlands). She holds a PhD in Food Policy from City University London. Her research areas include: food policy; food security; global governance; environmental policy; and participation. She is an Associate Editor of the journal Food Security. Previously, Jessica worked in the Department of Food Systems, Culture and Society at the Universitat Oberta de Catalunya (Spain). She has also worked as Global Coordinator for Alliance Building for the Indian NGO MARAG and is currently an advisor and researcher with Traditional Cultures Project . This work has led her to also research the changing relationship between pastoralist women in the Indian state of Gujarat to their livestock and the land, with a focus on dairy policy, culture and food security. Jessica’s latest book is Global Food Security Governance: Civil society engagement in the reformed Committee on World Food Security (Routledge 2015). Posted on October 22, 2015 October 24, 2015 by foodgovernancePosted in CFS, Food Policy, Food Security, Global Food Governance, Participation in PolicyTagged CFS, CSM, Food Policy, Food Security, global food security.